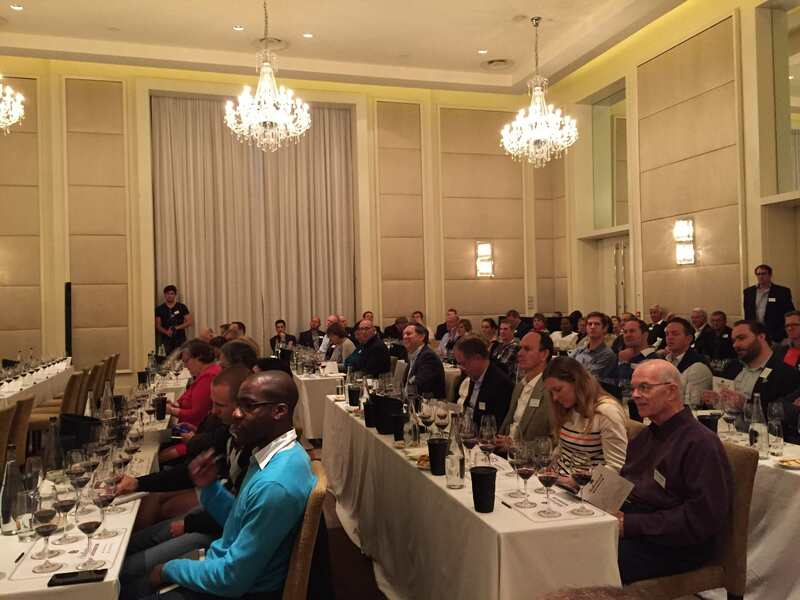 Day 2 of CapeWine 2015 concluded with the Stellenbosch Kingdom of Cabernet event at the One & Only resort. Here we tasted through four flights of Cabernet Sauvignon with five wines in each flight. 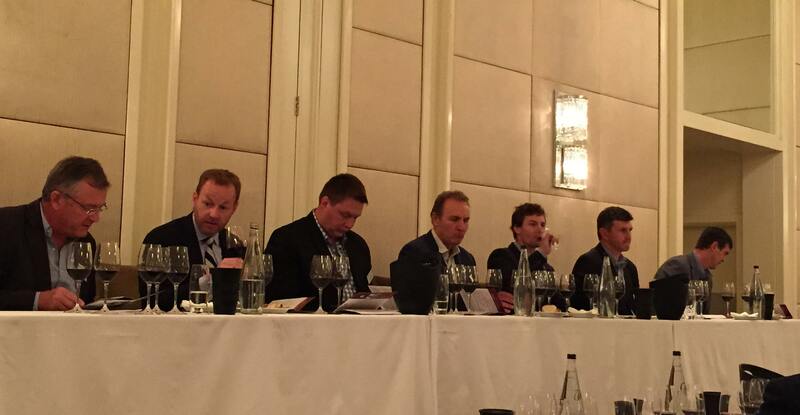 The tasting and panel discussion was led by Greg Sherwood MW with each panel composed of the winemakers for the wines of each particular flight. The event was especially well organised and clearly a lot of thought had gone into how to present each flight. The focus was on regional identity and thus the wines were grouped accordingly starting with Helderberg, then Simonsberg, Stellenbosch and finishing with Stellenbsoch Berg. 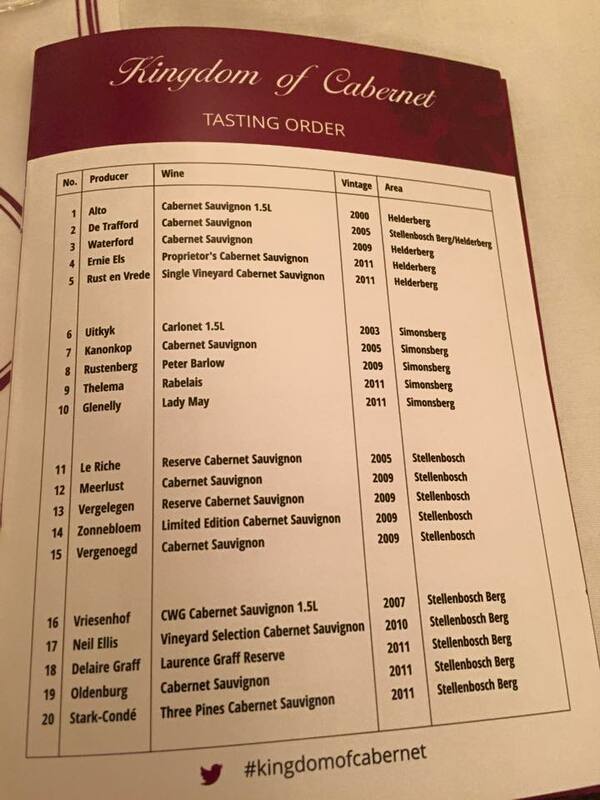 We were treated to a selection of vintages ranging from 2000 to 2011 with some wines offered in magnums. Despite regional differences there were some common themes when it came to style; the fruit was rich and dense with a sense of opulence that was kept in check with balanced levels of acidity and tannin, keeping the wines from being overwhelmed with fruit. The classic notes of cassis and herbal aromas and flavours were present in abundance, with restrained used of oak in the majority of wines. For wines with some age the layers of complex flavours unfolded in the glass and on the palate showing delicious fruit cake, cigar box and tobacco notes. Following the tasting we were treated to a selection of tasty canapés and invited to continue sipping on the wines from the evening – the perfect way to end the day!